Tips written by Abs Mawji. Abs is a tour professional and course record holder with a score of 62 from the gold tees. 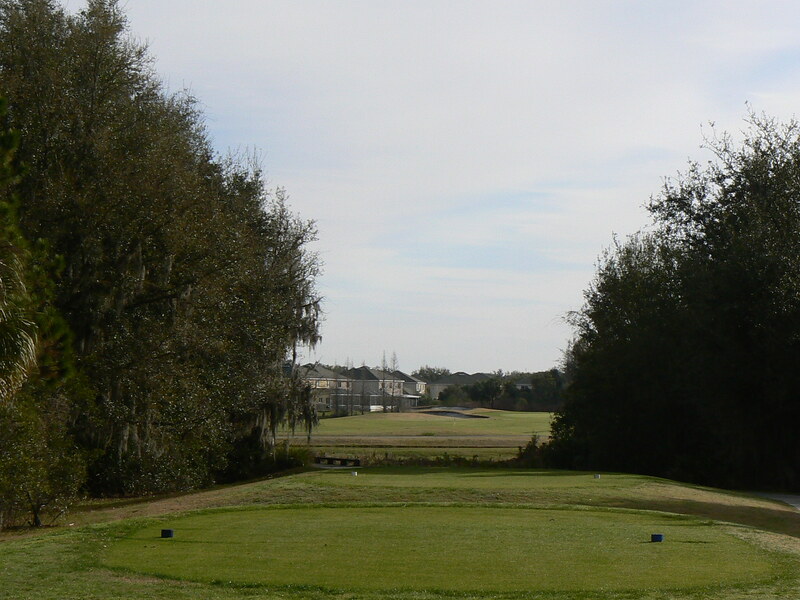 A tough hole that can test the best of your first hole nerves. Hope you are loose as an aggressive mind set may end up being the safer option. 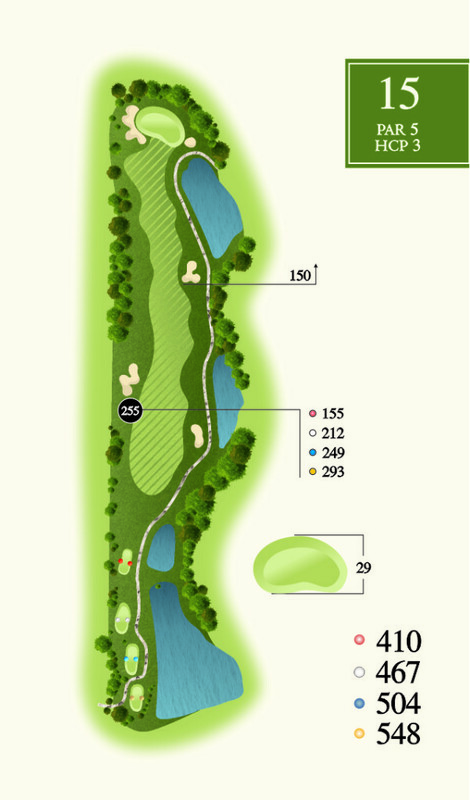 Driver or 3 wood is the club of choice as the fairway opens up past the corner. The perfect line off the tee is towards the right green side bunker. After navigating past the tee shot hopefully you will find a short or mid iron in your hands. Take more club if the pin is on the left. Distance control is a must! Very shallow green that is crowned. 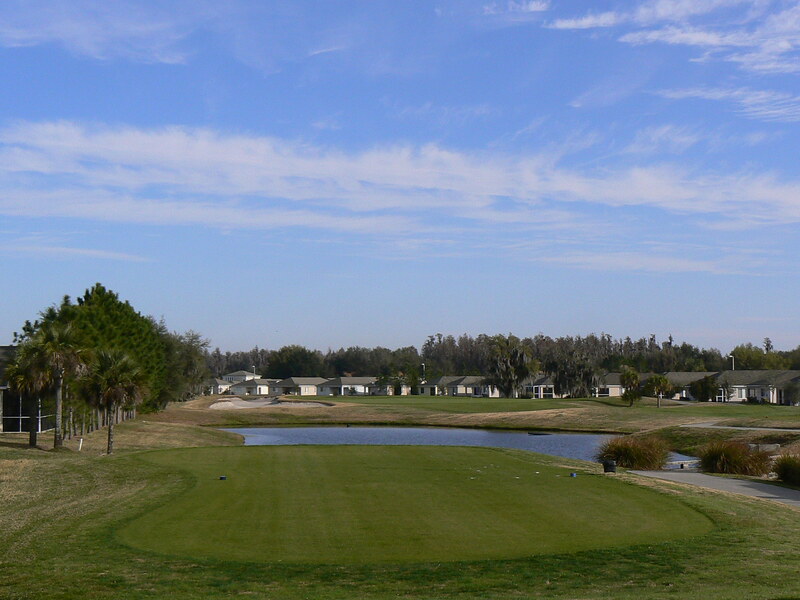 A long, swinging dogleg to the left par 5 will test your course management. Choosing a club off the tee very carefully and putting yourself in the correct position off the tee will make this hole a lot easier. Too far and you’re through the fairway; not enough distance and you may run the risk of not carrying the trouble. 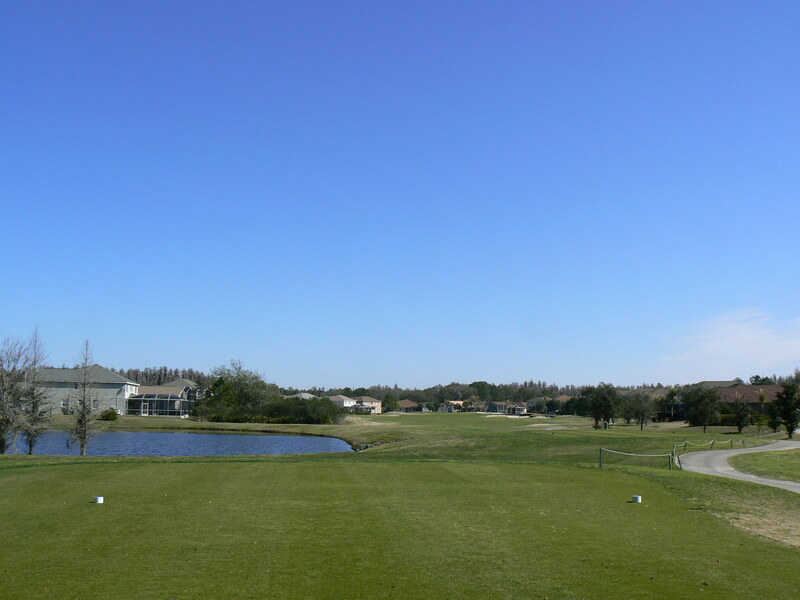 A tee shot just to the right of the corner will leave you in the middle of the fairway. Lay up to your favorite distance as the approach shot needs to be accurate to make a birdie opportunity. A ridge splits the green in two. Putt from the wrong level and a 3-putt is possible. Toughest hole on the course. Into the wind can provide an early test to see what kind of day it is going to be. Favor the right side of the fairway, but watch out for the diagonal fairway bunker that can catch just slightly wayward tee shots. 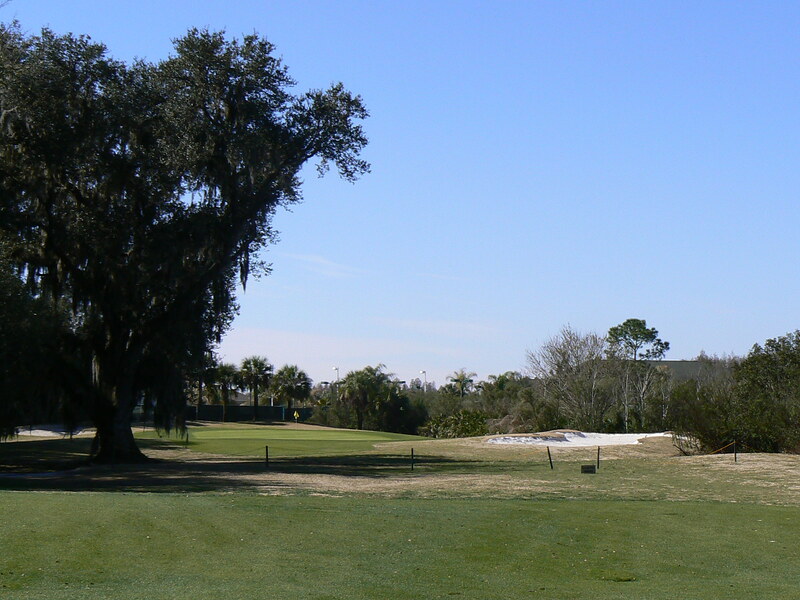 A tee shot too far left, even on the fairway, may be blocked out by the large signature tree. Don’t mess with the tree, but right of the green is bigger trouble. The narrow green is very deep with bunkers and hazards guarding either side. 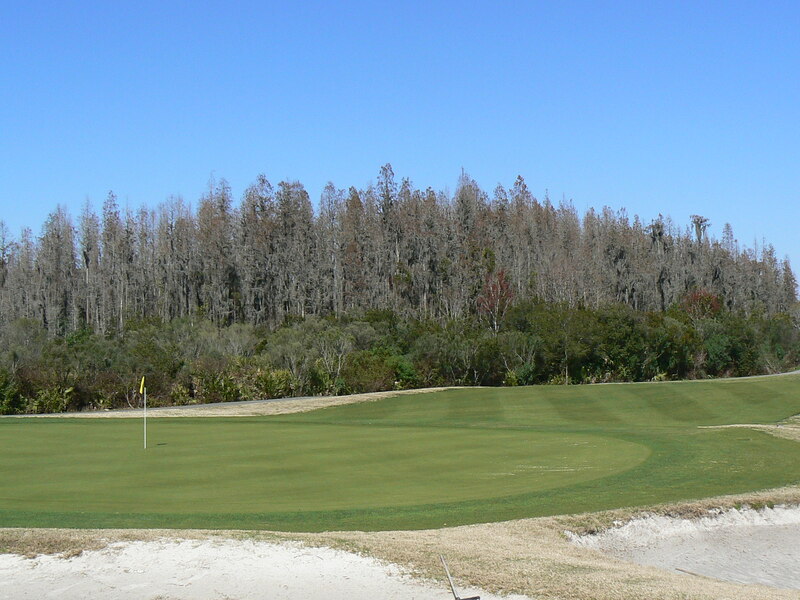 The bowl shaped green tends to make all balls feed to the center, leaving an uphill putt most of the time. Not much to say as everything is right in front of you. 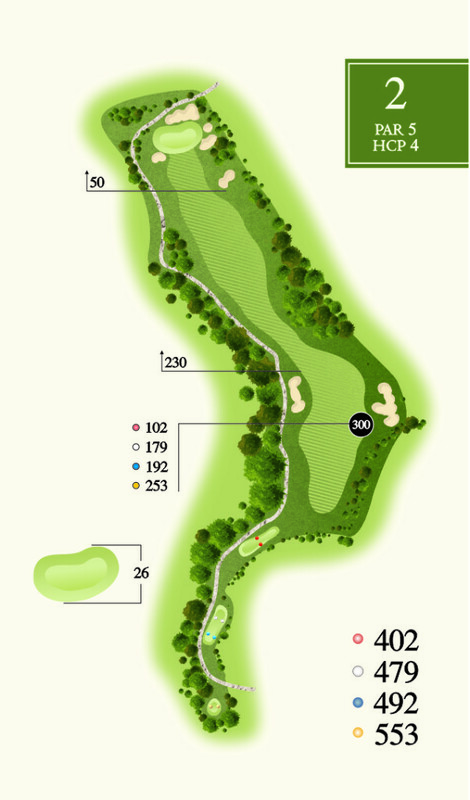 One of the longest par 4’s on the course. 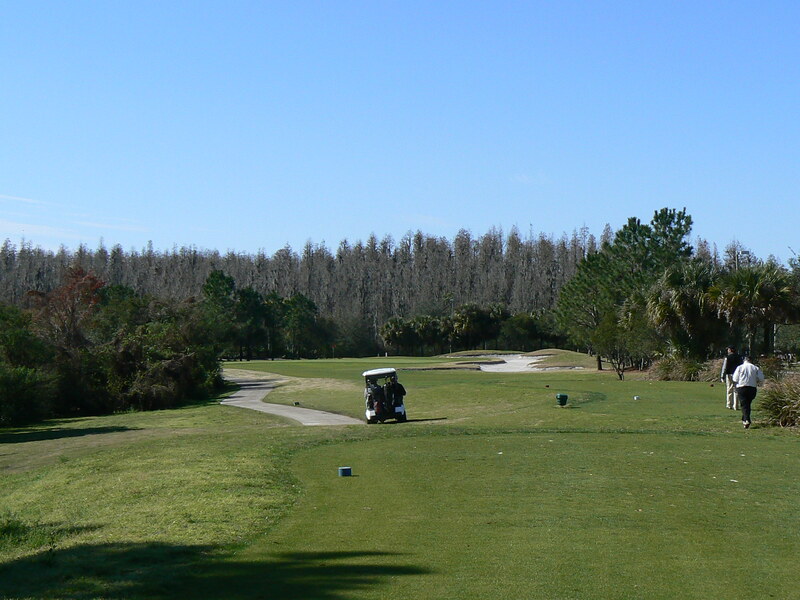 Swing away off the tee, but ensure you keep your drive on the fairway. 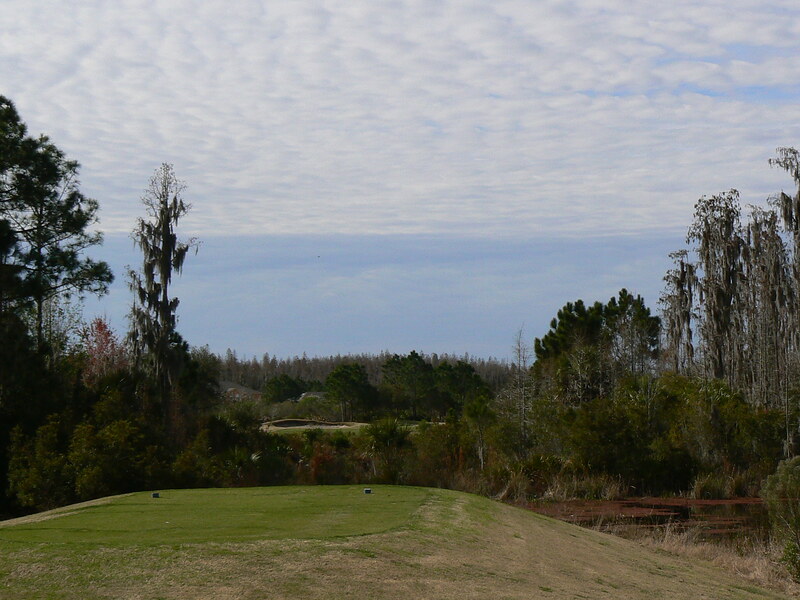 The approach shot is slightly uphill and often fools players into not choosing enough club and coming up short. Avoid the front left bunker with your long iron or hybrid approach. A friendly sized, round green with very little green undulation. 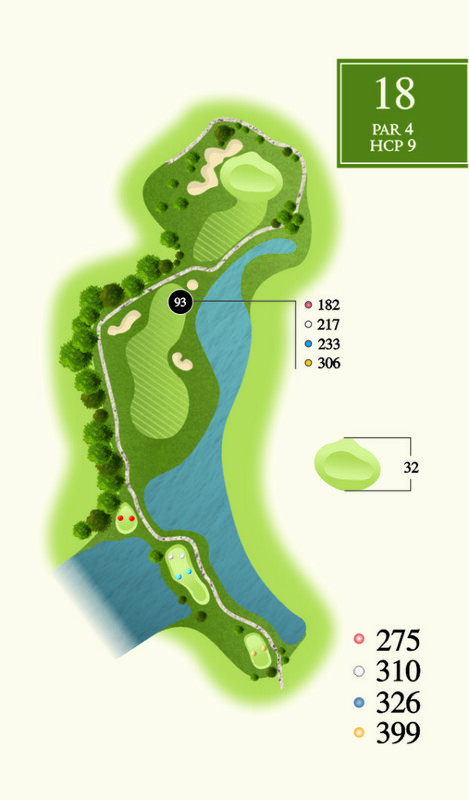 Even though this par 3 is 174 yards from the blues, it is the shortest par 3 on the course. A very thin kidney bean shaped green awaits and distance control is of utmost importance as tricky chip shots surround this green. Avoid the long bunker on the right. Shallow green that can fool you on the break if you have a lengthy side to side putt. Watch out for the right side to left side speed as the ball can get away from you. 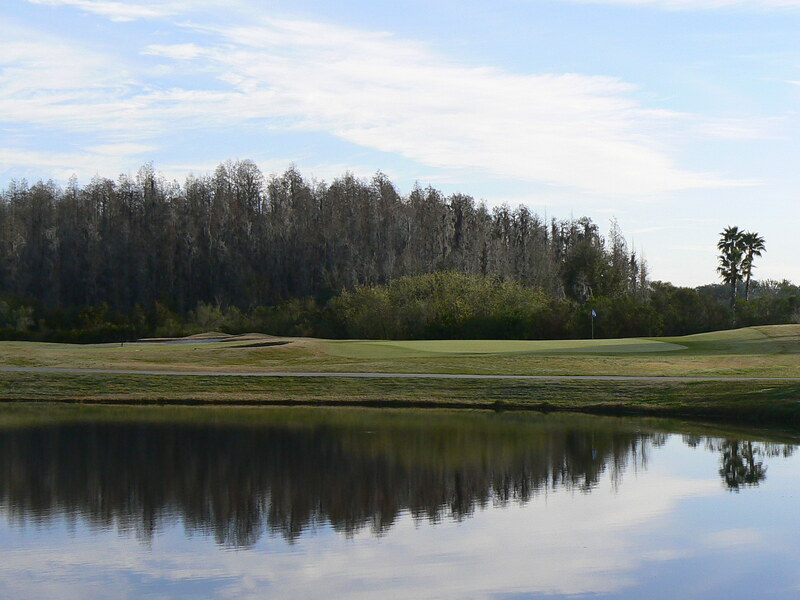 This hole is a short par 4 with water on both sides of the fairway. Distance is not as important as accuracy and maybe a fairway wood or long iron would be a smart play off the tee. 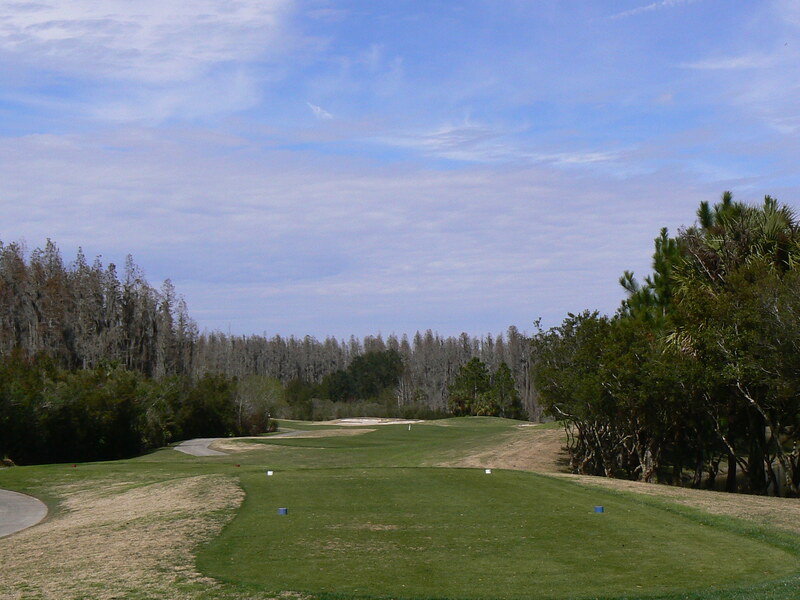 A pine tree may come into play with the approach shot if the pin is in the front left. However with the green sloping right to left it can be easily avoided. Be aggressive with middle and back pin positions. 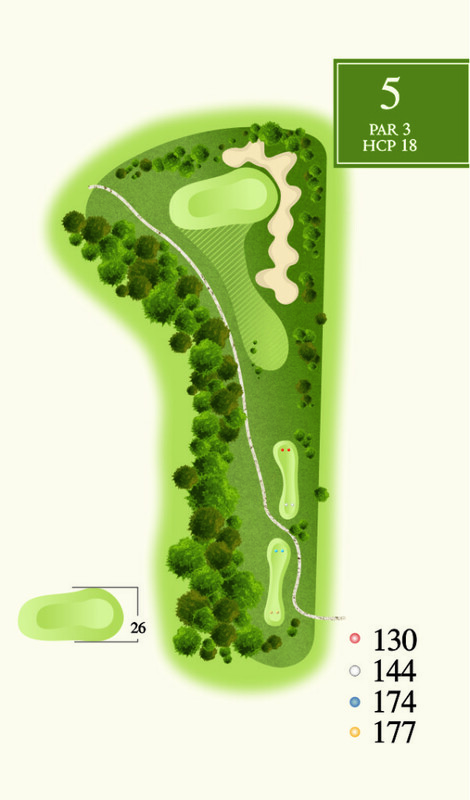 A front pin however will be much tougher with a right to left slope that moves away from the hole. 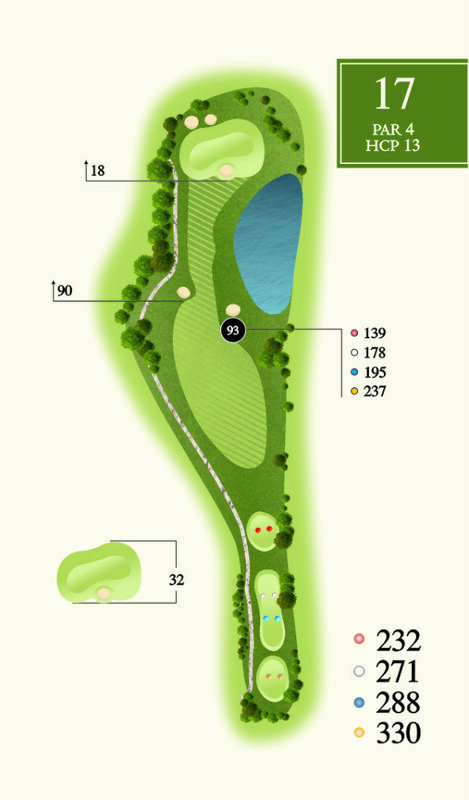 A double dogleg par 5 with environmentally protected hazards along both sides for most of the hole. A good drive is vital to insure no penalty shots are incurred. The right side of the fairway slopes towards the hazard. A pushed or sliced drive usually does not stop until it is unplayable. An aggressive lay-up shot is required to make sure all the trouble on the left can be avoided. 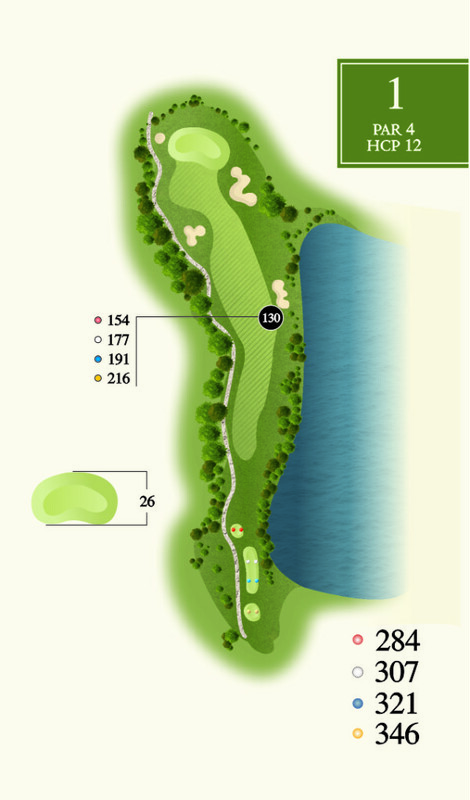 The corner of the dogleg has lots of fairway so hit enough club to have an unobstructed view of the green. After that a very receptive green awaits your approach. Respect the long back to front putt to keep the ball on the green. 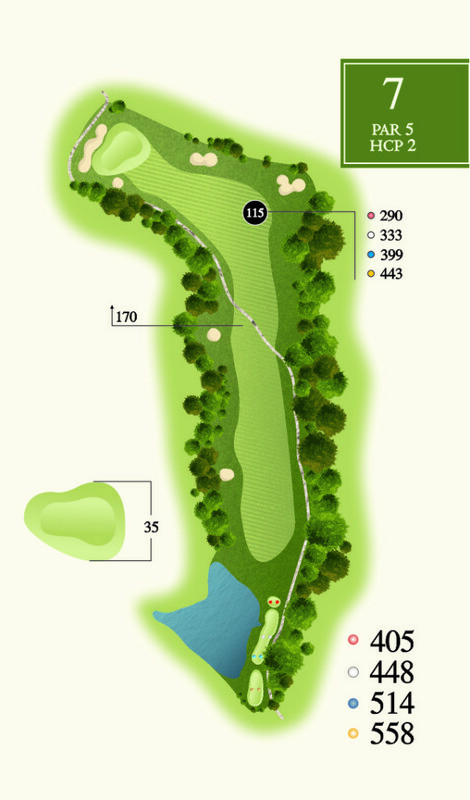 Even though this is a long par 3, a very large round green is presented. Four bunkers on the left protect most shots from running into the water. Look beyond the green for indications of wind speed and direction. The tee box can be sheltered and give a false sense of the wind. Very little room to the right of the green, with not much to stop wayward shots. 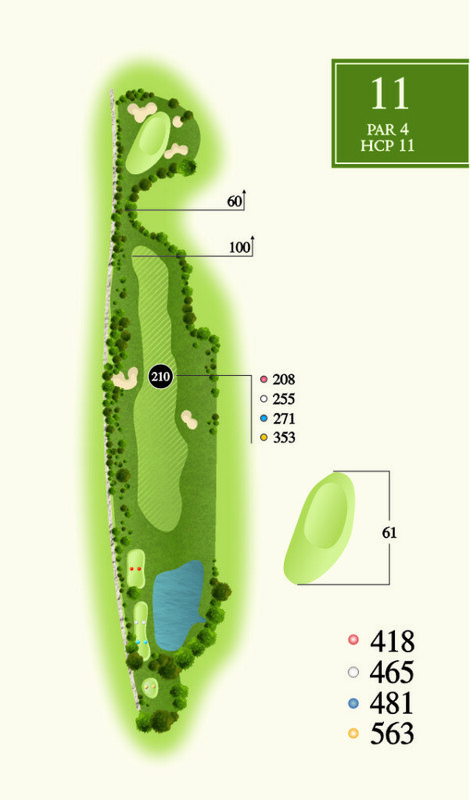 The green has very little slope so any tee shot to find it will leave a great birdie opportunity. 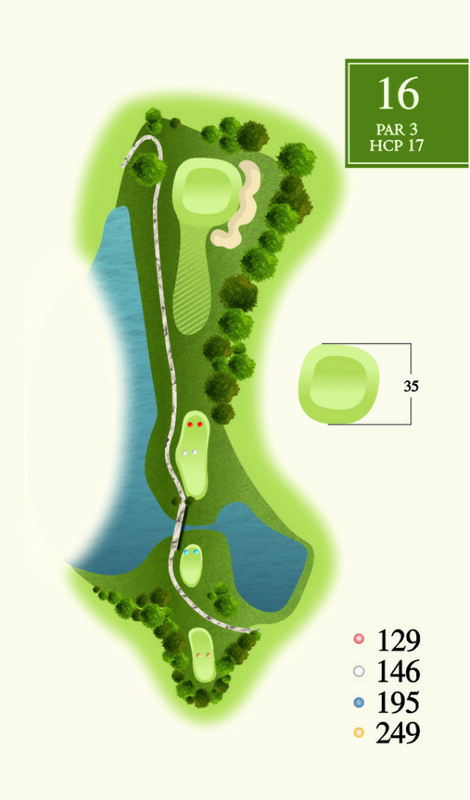 A tricky short par 4 finishes off your front nine. A fairway metal or hybrid may be the club of choice to avoid the deep bunkers and water. Sets up nicely for a draw. A well protected green with some slope is the holes main defense. Take enough club to cover the front short bunker. Pins to the left play longer. 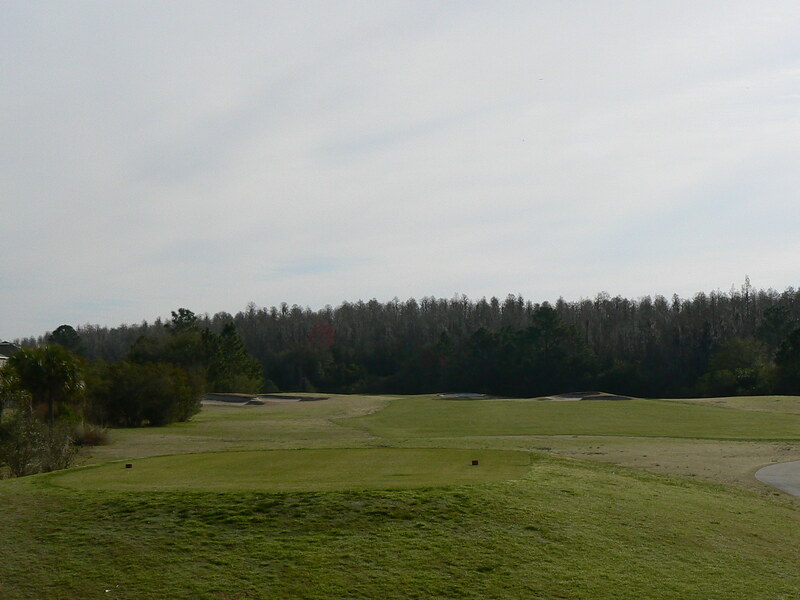 Deceptive slope from back to front will test your second putt nerves. Hole difficulty is dictated by the pin position. 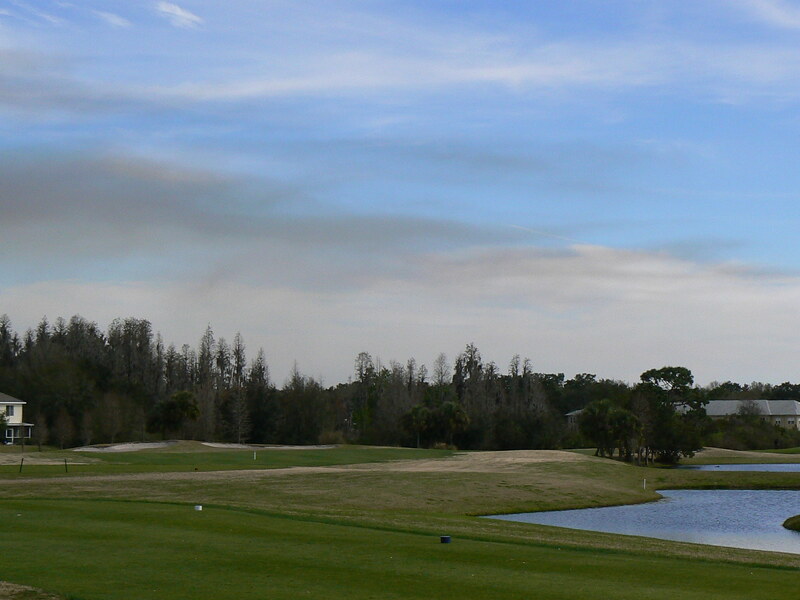 A generous fairway off the tee allows you to rip driver with more fairway to the right than appears off the tee. Well positioned bunkers surround the green which slightly wraps around the right bunker. Get to the back right pin position by hitting away from the bunker and utilizing the left to right slope. Front and middle pins will leave great opportunities but a back right pin will challenge your nerves. A confident stroke is required. 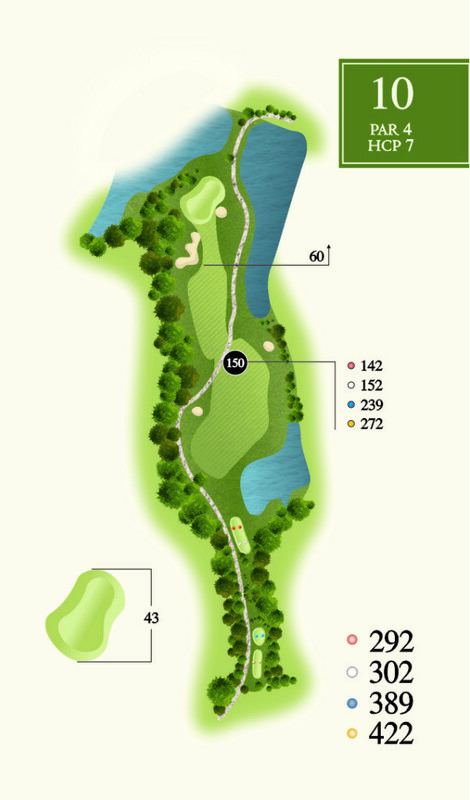 The toughest hole on the course is a challenging par 5 which is all about the approach shot. 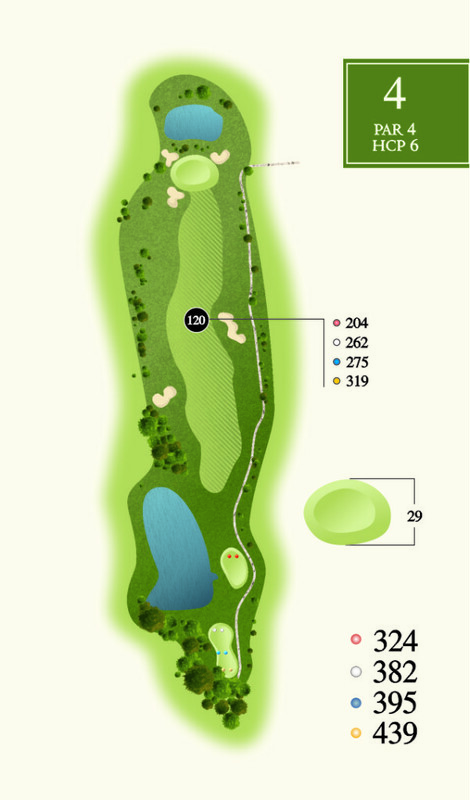 The hole has a generous fairway, but find one of those bunkers and the lay-up becomes very tricky. The 2nd shot needs to be placed just inside the 150 to leave a short or mid iron to carry the environmentally protected hazard in front of the green. 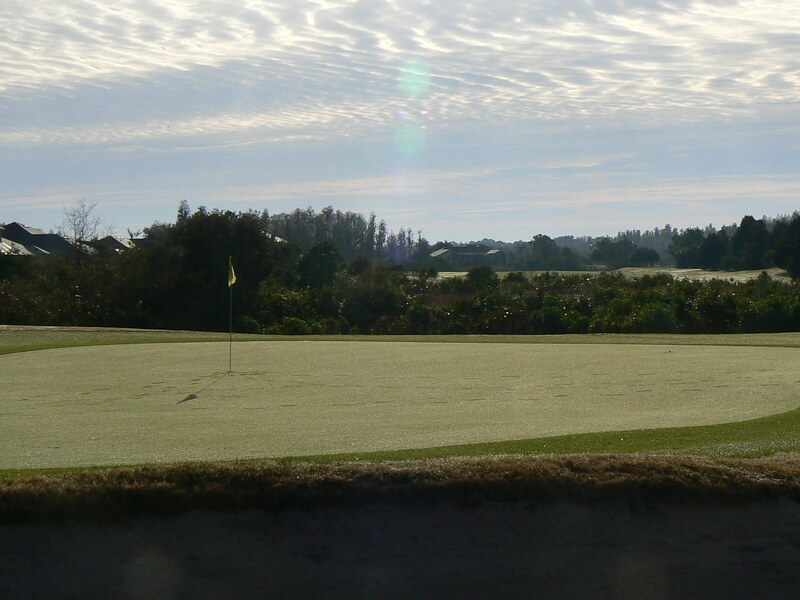 Any shot to the green often finds itself to the middle, leaving an uphill putt. For those less fortunate, the drop area is on the other side. Be aggressive with back pin positions. Putting from back to front will carry a lot of speed through the dip in the green. 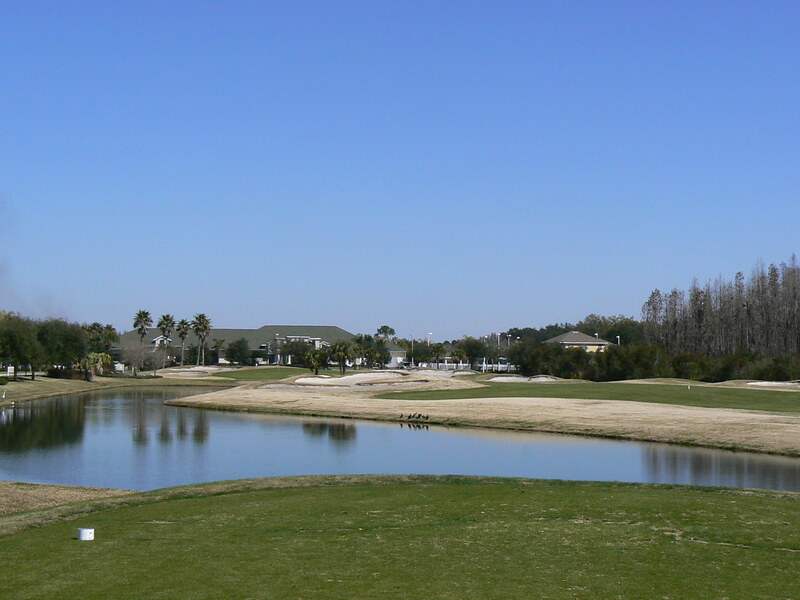 A dogleg left par 4 with a water hazard up the left and OB on the right. Keep your tee shot left of the right hand fairway bunker to set up a mid to short iron approach. There is more room to the left than you think so don’t be afraid to aim well left. 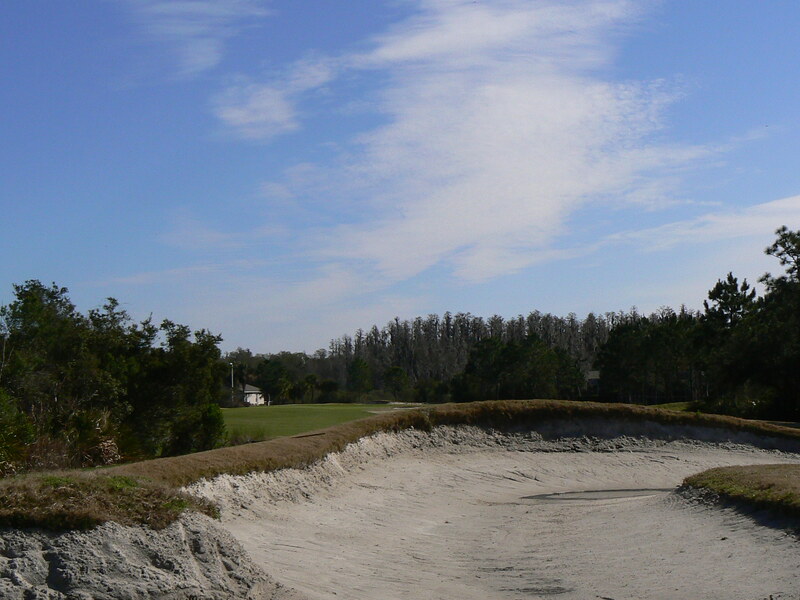 A left hand, green side bunker wraps around the back and would leave a very difficult shot. Green holds well so take enough club. The area short of the green is soft and does not yield favorable bounces. Good birdie opportunity with a green sloping slightly from back to front. 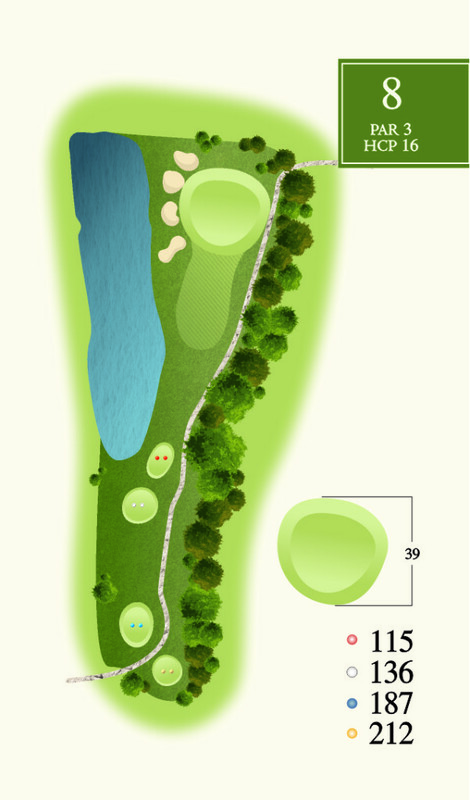 A long par 3 with a shallow green that will be tough to hit. Distance control is very important, but any shot that ends up just short will leave a simple chip up the hill. Avoid the valley short right of the green near the palm trees. The lie can be awkward. Getting the ball on the green and somewhat close could be considered an accomplishment. This green has severe slopes back to front with a lot of break. Back pin positions may require putting into the fringe to combat the slope. 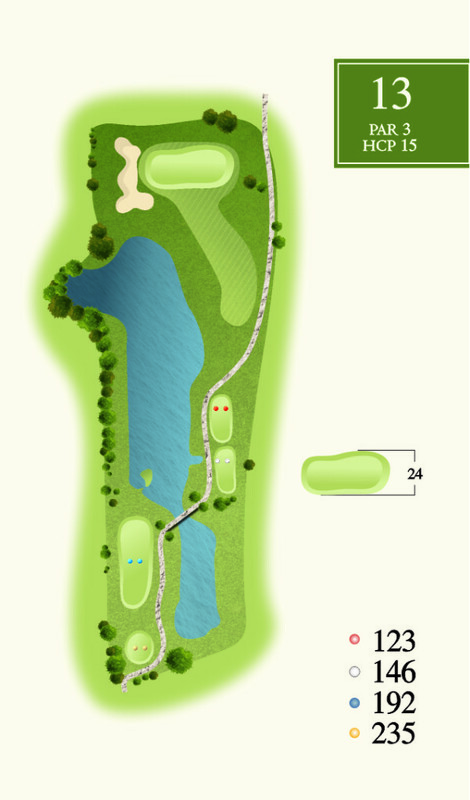 Sneaky, long, straight par 4 with a water hazard short of the fairway that wraps around to the right. A driver up the left side will leave you a mid to long iron. One of the most generous sized greens on the course, any shot that is short will land soft and be caught up in the fringe. Green slopes back to front. Uphill putts can be confidently struck but be careful with the downhill putts. 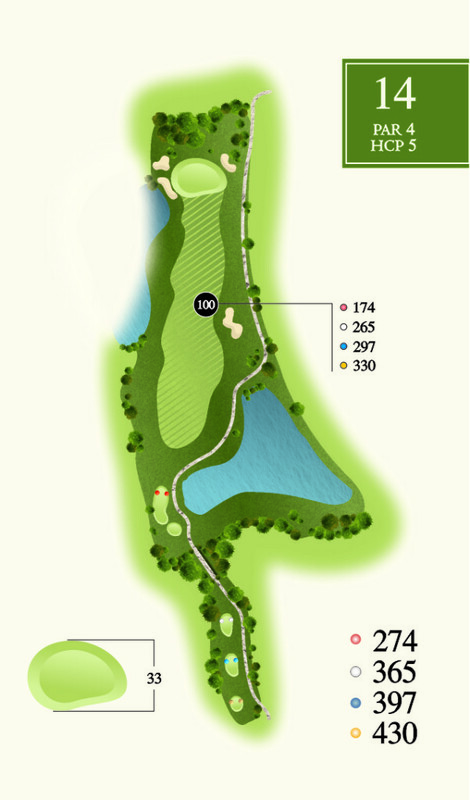 Straight forward par 5 with a generous fairway. Big hitter’s hole! Don’t expect much roll on the slightly uphill fairway. 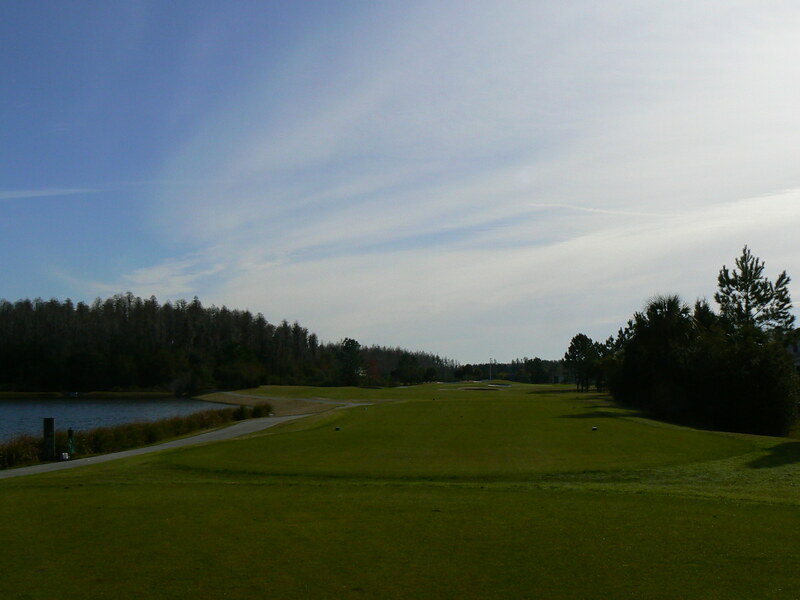 Favor the right side of the fairway, even the rough. Lake on the right comes into play on your second shot. 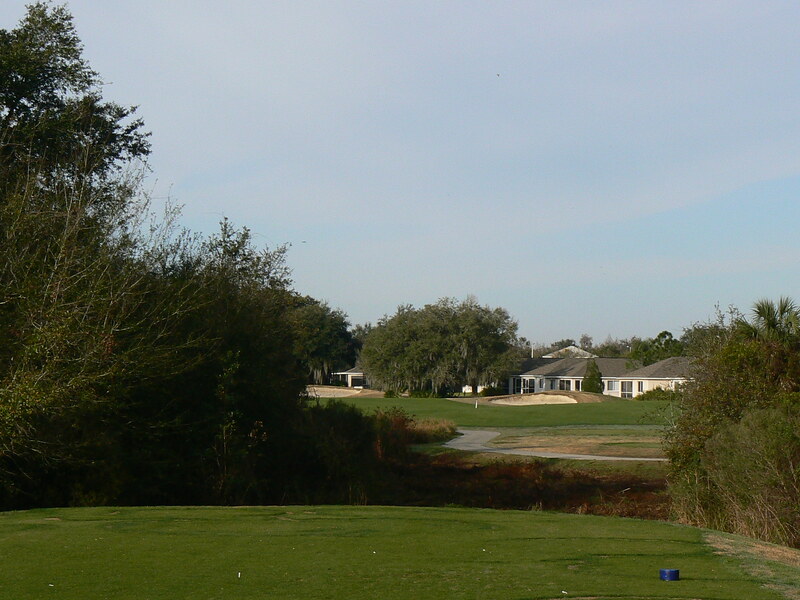 With a tee shot to the right, the approach shot can be hit away from the water. 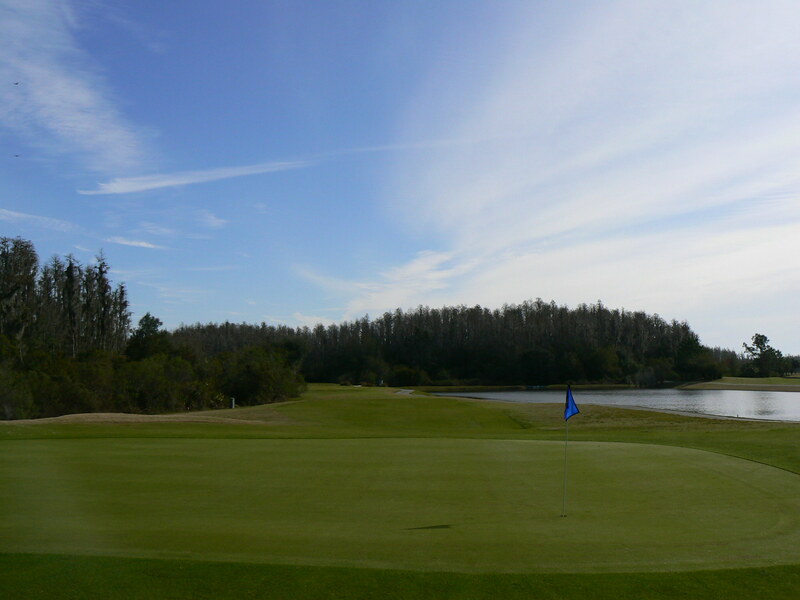 A short iron or wedge will be best to approach this shallow green with a false front. Flat putts in the middle, with the left side playing uphill and the right side playing hard and fast. Demanding par 3 with a large green. This concludes the toughest set of par 3’s in the area. Green is receptive to your mid or long iron tee shot if you can hit it! 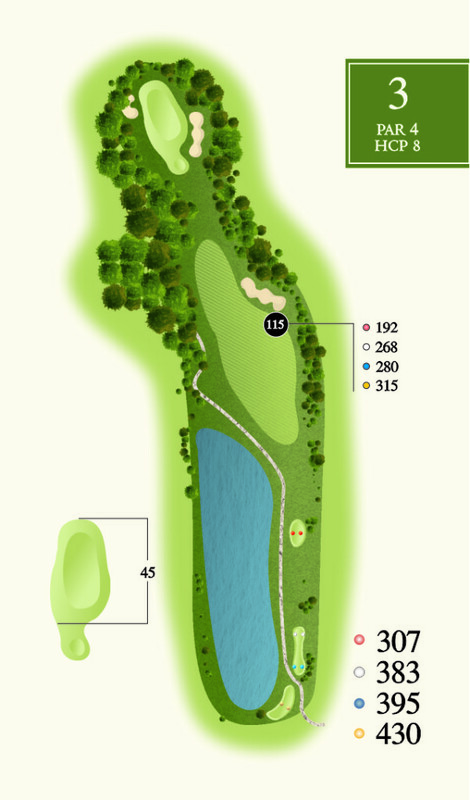 The green is well bunkered on the right and has a water hazard on the left to protect it. 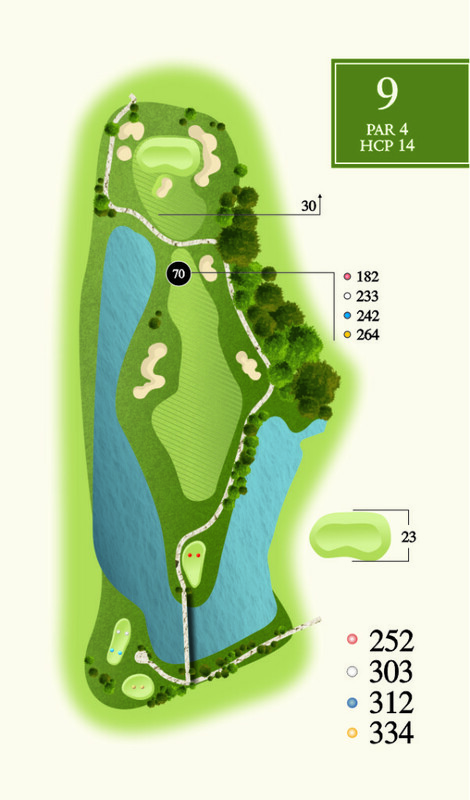 You might not feel the wind on the tee, but look at the pin to help your decision making. Slopes slightly from back to front and right to left. Front left pin is the easiest, progressively getting more different as you move to the back right. 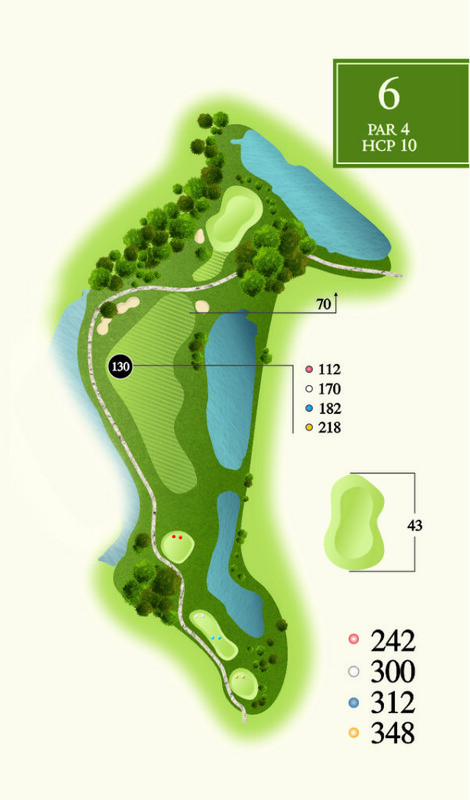 Short but tricky par 4 with bunkers and a water hazard to the right that comes into play. Keep left of the right hand fairway bunker. A 3 wood or hybrid off the tee is plenty and should leave a short or mid iron to the green. The green is protected with a well positioned bunker just short. If in doubt, take more club to avoid the bunker. The green is crowned in the middle. Putts on either side are makeable, but from side to side will have you mumbling to yourself. Finishing hole. Keep your focus to finish out the round with no regrets. 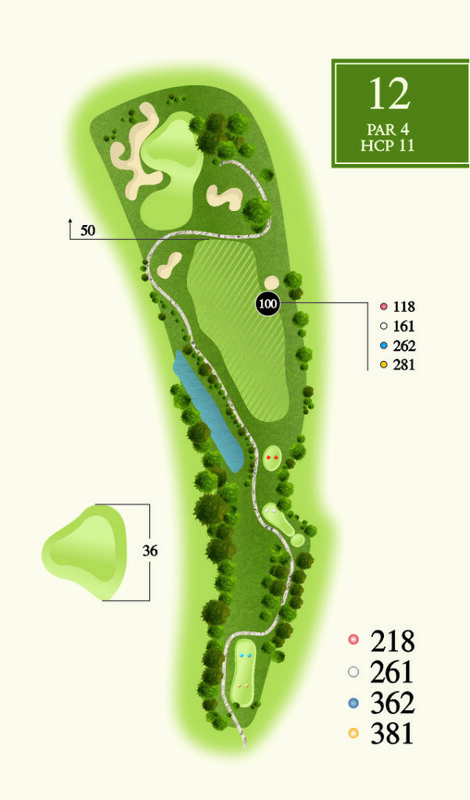 A challenging tee shot well protected with the fairway bunkers and a hazard up the right side. 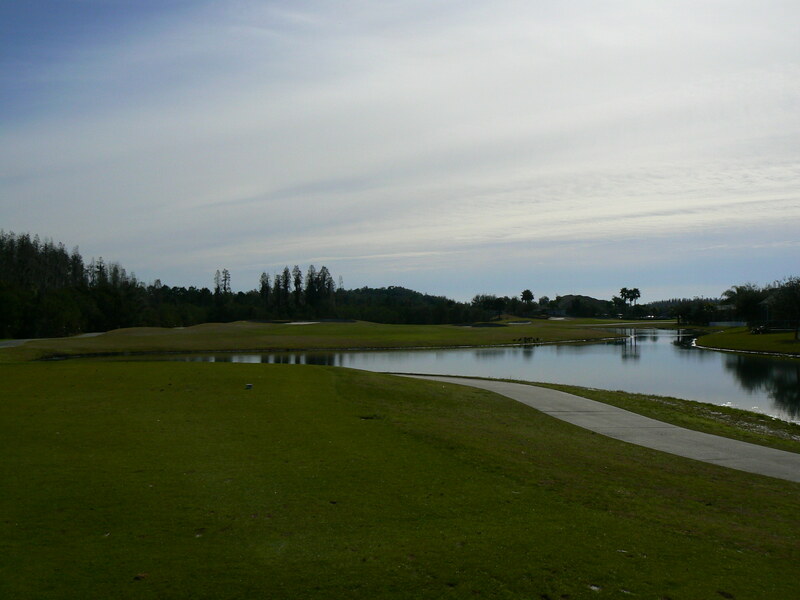 The tee shot must be kept up the left as any ball up the right will find the slope and end up in the water. The green is deceiving and looks very small from the fairway but it is actually a generous size. A false front catches a lot of players under clubbing, leaving a tricky chip. One of the easier greens to putt on, but be defensive with pins deep middle. These will typically keep running until you are off the putting surface.